Lt. Eno Fite was born in Vancouver, WA and moved to Dallas to join the Dallas Police Department in 1987. Before overseeing the Homicide Unit in July 2012, she worked in the Sexual Assault Unit, Patrol, and Youth Operations. She has been married for 21 years to a fellow police officer. They have four boys. In her spare time Lt. Fite enjoys traveling, crosswords, and spending time with her family. Sgt. Garza is married with one son and two grandchildren. His family helps restore balance to his life and takes his mind off work. He owns a boat and enjoys “going boating at the lake as much as possible.” He also loves golf and fishing. After twelve years in homicide and thirty-one years on the Dallas Police Department, Sgt. Larry Lewis still enjoys his job. This job is about people, and people are interesting. Not only do we have to find out about the perpetrator, we have to know everything about the victim. You get into all walks of life, all different socio-economic levels, all different types of lifestyles. I learn something from each scene I go to. Lewis places a lot of importance on his work. He says, In cases of a theft, burglary or robbery, people can get over that. You can always replace property. But in cases of homicide or sexual assault that’s a very personal crime. So we take these crimes very seriously and the department puts a lot of resources into solving these crimes. We never forget. He is proud of his department’s record and says, The last couple of years our clearance rate is much higher than the national average. The homicide rate has dropped to the lowest in 40 years. Anybody who is arrested for murder is going to be gone for a long time. Hopefully there is going to be a time when Dallas has one of the lowest murder rates in the country. Sgt. Lewis has been married for twenty-nine years. He has a son in the military and a daughter in high school. In his spare time, he enjoys gardening, fishing and camping. Growing up, Detective Michael Yeric lived next to a Police Detective. He loved hearing his compelling stories about work and was inspired by his insight into human nature. 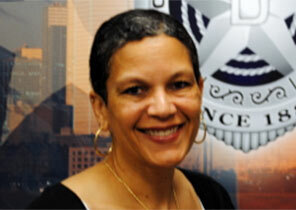 So, Yeric joined the Dallas Police Department in April 1995. He learned early on that law enforcement requires drawing on a vast set of skills and knowledge under pressure situations. “I really enjoy the fact that as a police officer you can never know enough or never have experienced every situation. It is a continual education and I love to learn,” Yeric says. When Yeric is not working, he tries to stay low-key by spending his time exercising and reading. Having received a Masters Degree in Kinesiology, he still has a keen interest in the subject and tries to stay up to date on the latest research. And, during football season, Yeric follows his favorite team, the Texas Longhorns very closely! Sgt. 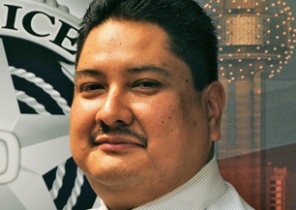 Eugene Reyes has been with the Dallas Police Department for 17 years. 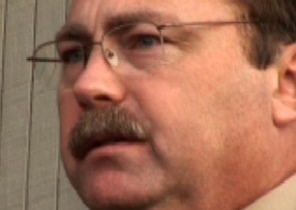 He has spent the past two years as a sergeant in the homicide unit. 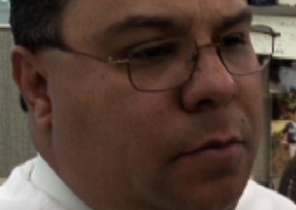 Reyes hadn’t always intended on a career in law enforcement. I wanted to go into Army intelligence, but an Army recruiter said I couldn’t until I was an M.P. Of course he lied to me, but once I was in there I liked the job. So I don’t know if I should hate him or thank him. As a sergeant, Reyes manages a unit with an 82 percent clearance rate. He credits this to a group of dedicated, hard working detectives. We’ve selected the right people to do this job, Reyes says. If they take up a case and they get a clue or they’re working it, they’re not going to bed. It’s not a 9 to 5. These guys keep on going. To Reyes the most interesting part of the job is uncovering the story of the homicide. He explains, Whether it’s a story that is being told by the victim, the family, the suspect, it’s a story that is being discovered. The only way you’re going to solve the crime is by talking to everyone and getting the story. Reyes is married with two children. He plans to one day leave the big city for more rural surroundings. He says, When I retire maybe that’s when I can move out to the country and start raising cattle. That’s what I’d really like to do. Det. 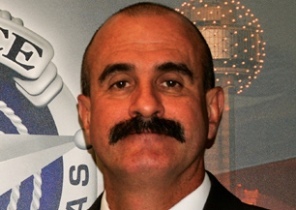 Robert Arredondo has been with the Dallas Police Department for over 12 years, with just a little of a year in homicide. Det. 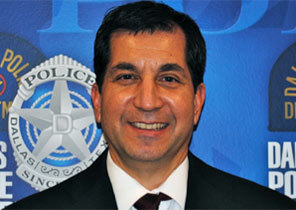 Steve David always had an interest in law enforcement and so in 1981 he joined the Dallas Police Department. He knew he wanted to become a Homicide Detective since the beginning of his career but he understood that the demands of Homicide could be tough on a family. In 2005, after his kids were in high school and had their own active lives, he joined homicide. 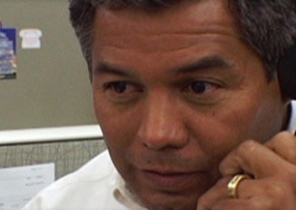 One of his most memorable cases in homicide was one where the team didn’t have any leads or information. However, through a diligent investigation, David and his partners were able to find the killer, who is currently serving 80 years in the penitentiary for the crime. 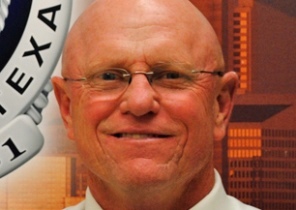 Eighteen-year DPD veteran Rick Duggan, always aspired to join the homicide unit. He says, I thought working murder cases would be the ultimate challenge for a police officer. I wanted that challenge. Duggan describes his past two and a half years on the Homicide Unit as the most enjoyable job I’ve ever had. He especially cares about bringing closure to grieving families, and humbly states, Being able to solve the case and, at some point down the road, being able to tell the family that you figured out what happened and you found who did it and that person is going to be brought to justice, I feel like I made a difference, a little bit at least. I was able to take an evil person, a dangerous person, off the street. Duggan believes his greatest asset his is persistence. He says, I don’t give up easily. I hate not solving a case. I try to approach every case with a ‘never give up’ attitude. You just keep going and eventually you’ll shake something loose and get the lead that breaks the case open. He adds, I like the challenge of the whole thing, seeking out the clues, going step by step until I’m able to solve the case. I like the chance to solve the mystery basically. Duggan and his wife are raising two boys, ages 9 and 11, both of whom share his passion for hunting and fishing. He jokes, My wife often tells me she has three boys to take care of. Duggan is also a lifelong Dallas Cowboys fan. Detective Paul Ellzey knew pretty early on that he wanted to work in law enforcement. The son of a police officer, Ellzey reminisces, I can remember when I was a little kid, the first time I saw my Dad in uniform, I realized what I wanted to be. 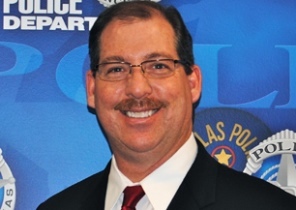 Paul Ellzey has been with the Dallas Police Department for thirty years. Det. Ellzey believes working in the homicide unit is a serious commitment. He explains, To be in homicide you have to have an exceptional work ethic. You have to be dedicated to the job. You have to be a fact finder. You’ve got to get out there and burn some shoe leather. You’ve got to talk to people. You’ve got to deal with folks. You have to enjoy the chase and appreciate a challenge. If you’re not willing to make some sacrifices in your personal life, and dedicate yourself to the work, then you’re in the wrong position. Det. Ellzey is married to a Lieutenant in the narcotics division. They have two daughters. In his spare time, he tries to distance himself from the intensity of his work. He says, I’ve got a farm way out in East Texas that I really, really enjoy. When I’m away from the police department, I’m 100 percent away. I don’t tote a gun. I don’t wear I badge. I’m just John Q. Public out there enjoying things I enjoy: working on old tractors, working in the dirt and cutting grass. I enjoy my time at that farm. Det. 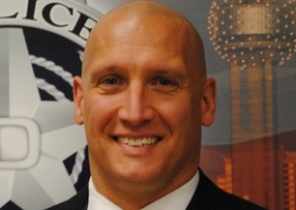 Robert Ermatinger has spent the past twenty-three years in the Dallas Police Department. In his fourteen years in the Homicide Unit, he has learned that common sense and being open-minded makes a good homicide detective. 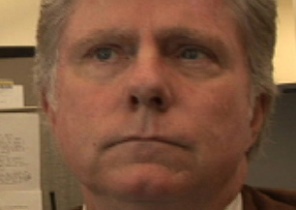 Ermatinger refers to murder as the ultimate crime, and works each case regardless of the victim’s history. He states, Even though a murder victim may be a 26-year-old drug addict with a record as long as my arm, at one time he was a six-year-old boy learning how to ride his bicycle and his mom or dad or granny was pushing him down the road. That’s the person they remember and that’s the person that is in their heart and that’s the person we’re trying to find justice for. Ermatinger is married with four children. His son Bobby recently joined the Marines. Ermatinger’s hobbies include golf, poker and spending time with his kids. Garza feels it is necessary for him to try and keep his work at work. “When I’m at home, I want to be there for my wife and with my son … be there for them and help them, I can’t let the stress of this job take a toll on my family.” Garza is married to a “wonderful, beautiful wife” and is the father of a little boy. Gil Garza has been promoted to Sergeant and is working with the Patrol Unit. Det. 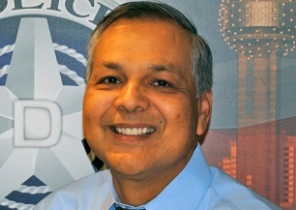 Leo Gonzalez joined the Dallas Police Department in 1994 and can’t imagine being anything other than a police officer. He was first drawn to law enforcement in high school when a role model explained police work and how it could be very rewarding. Gonzalez soon found their advice to be true. After working in the Robbery Unit, Gonzalez moved to homicide in 2007. While being around the dead does not bother him he says, “It’s not easy, it’s a very hard job and requires a lot of responsibilities and only a select few can do it with positive results.” He is proud of his own willingness to learn the job and to adjust to the constant changing investigations. His most memorable homicide case was one where he had to track down a lead witness in deep Mexico in order to put the last suspect behind bars. The witness’ testimony led to the suspect’s conviction and sentencing of life without parole. When Gonzalez is not working he is spending time with his wife and two kids. Together they enjoy camping and going to the beach. Even after spending the past thirty-one years in the Dallas Police Department, and the past twenty in the Homicide Unit, Det. Phil Harding states, I still enjoy the work. I still find it fascinating. He goes on to say, Homicide is a big challenge, a constant challenge. The cases you remember are the ones you don’t clear; those are the ones that haunt you. In contrast to that, Harding says, Every time we do take a killer off the street, we save someone’s life and that’s very important. Harding tries not to bring the brutality of his work home with him. He says, It never gets real, real easy, but you just condition yourself to the horror of it. The last person who needs to fall apart at the scene is me. You have to be strong. You have to be there. You’ve got to be thinking on your feet and thinking ahead. In his spare time, Harding plays golf and raises horses. He also loves to travel and would like to see the rest of the world. He is divorced with two stepdaughters and six grandchildren. Sixteen-year DPD veteran, Det. Eddie Ibarra, has been with the homicide unit for two years. He has previously worked patrol where he did ten years on the streets in an area that is known for high crime. He credits his patrol background with exposing him to many different aspects of criminal activity. Ibarra is very comfortable talking with people, which explains his expertise in the interrogation room. He says, When a person is lying, and you’ve confronted them with the facts that you’ve got, they think that if they continue to lie that their problem is going to go away and that I’m going to go away. That’s my thing – I just don’t give up. We’re going to continue to talk until I say we’re done. Det. Ibarra believes any good homicide detective needs a strong foundation and he credits his wife of twenty years with giving him that. He explains, I met her in high school. From the first day that I told her I wanted to be a cop she said she was behind me 100 percent. That is one thing that has allowed me to really dedicate myself to homicide. That connection with my wife and the assurance she has given me. Det. Ibarra has three children, ranging from ages 3 to 19. He refers to them as My life and my motivation. A Dallas PD veteran, Det. Joe Jones has been on the force since 1990. He wanted to help make a difference in peoples lives and being a police officer gives him that opportunity. 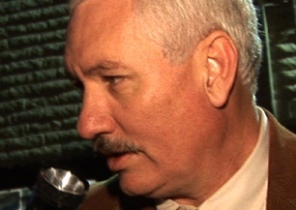 In 2008, Jones became a homicide detective. He likes the challenge of “taking the most serious crime and finding the individual responsible so the family can grieve knowing the person responsible will face a jury.” Jones says detectives that work homicides are dedicated to their cases because the job takes up a lot of time, which can result in many missed family events. But, the satisfaction of having the victim’s family tell you “thank you” makes it worth it. Jones is married with three sons. Outside of work, he puts his energy into his family, Masonic activities and his Harley. Detective P.E. 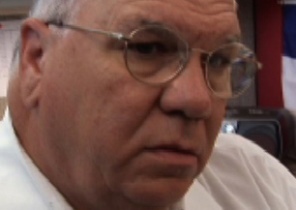 Jones, a 36-year-veteran of the Dallas Police Department, has spent the past 16 years in the homicide department. He says, I’ve always gotten a lot of enjoyment out of working homicide investigations. I enjoy talking to people. Everyone’s got a story, good or bad, right or wrong or indifferent, they’ve got a story to tell. It’s just a matter of getting that story out. He adds, I think human nature is to give your own slant to whatever incident or occurrence has happened. I think everyone gives their own slant to the facts and of course it’s our job to decipher those stories and try to determine what is fact and what is fiction. If you rely strictly on what they told you and not what your evidence is, then you find yourself with a messed up story. Jones thinks of his work as representing the victim, no matter what their life choices were. He says, One thing about homicide cases is you’ll remember cases ten years later. And some of the cases that you don’t solve that you wish you had solved, those cases stay with you. Det. P.E. Jones has retired from the Dallas Police Department. Det. 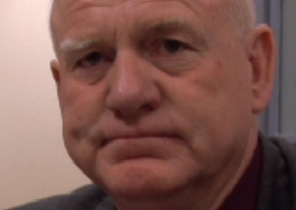 Jones has been married for 38 years. He and his wife have three children. My oldest daughter is married and she’s got two sets of twins so I’ve got four grandkids. My son, the middle child is on the police department. We really haven’t hooked up on anything big yet, but we have crossed paths. My youngest daughter got married in 2006. We’ve got six dogs right now. We run cattle and horses, but right now we’ve just got dogs. I came from a real small, small town in upstate New York, Vernon Center, with a population of about a thousand people, Det. Randy Loboda explains. I was very quiet in high school, very introverted. Probably the last thing anyone ever expected was that I would turn out to be a homicide detective working in Dallas, Texas. Det. 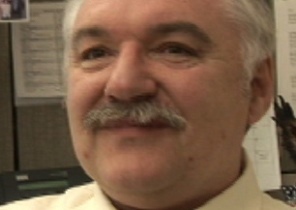 Loboda has been with the DPD for twenty-four years, and has spent the last twelve of those years in the Homicide Department. Loboda is a proud father and grandfather. His wife Jackie is also a homicide detective. Loboda also recently returned to college. He explains, It’s a personal thing. I just want to get it done so I can say I got my four-year degree. Lundberg and Laurie have two sons and an adopted German Shepherd named Lexi. Det. Dan Lusty knew he wanted to be a police officer early in life. He explains, When I was 12, I had an uncle that was a deputy sheriff. He had a farm up in Michigan. When I’d go up to visit, he’d tell me and my cousin to go sit in his car and listen to calls on the radio. You’d hear the radio traffic and hear people talking. I knew there was something really neat out there that I wanted to get into. I still think about that day, the first time I sat in that squad car and that radio was busy and I’d just listen and listen and listen. He has spent the past thirty-three years with the Dallas Police Department and the past seventeen in the homicide department. Lusty further credits his family in the character necessary to be a detective. He says, I guess I’m a service-oriented type. My mom was a registered nurse for forty years. Like her, I just enjoy helping people and getting issues resolved for them. Lusty and his wife have been married for thirty years. They have three children. He says, I’ve got a daughter that’s working in physical therapy now, and I’ve got my two sons in college. I’ve got my lab Dusty and the dog my son rescued named Dixie. “An old instructor said to me once in the police academy, ‘boys and girls, you just bought yourself a ringside seat to the biggest circus in town’ … and he was right,” McNulty says. 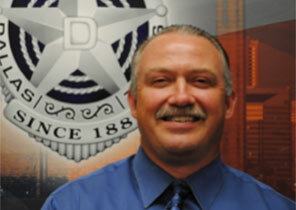 Twenty-year DPD veteran Detective Dennis Mumford has been in the homicide department for two years. He says, When you’re a detective or police officer, people look at you as that – they expect you to be a good person. I think that gives you pride, to know that you are looked at that way. There are a lot of things you can do for society but getting people off the street that don’t belong on the street is a really satisfying thing. As a consequence of being a homicide detective, Mumford says he sees life in a different perspective. You see your own life as more of a blessing. You’ve got to appreciate life a lot when you see death a lot. Detective Mumford has been married for twenty-four years. He has two sons and a daughter. He says, According to my wife I have multiple hobbies: cameras, firearms, computers, fishing. When I have time, golf, motorcycles – anything that is expensive. According to Det. John Palmer, “I’m just one of those people who woke up and knew he wanted to be a police officer.” He has been with the Dallas Police Department since 1987. The night before he started the Dallas Police Academy, his father encouraged him to set a goal of becoming a homicide detective. 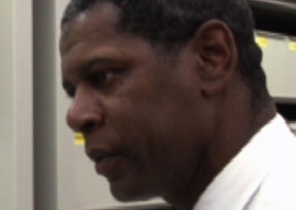 In 1998 he became a homicide detective. Palmer is married with two sons. Det. Kenneth Penrod has been with DPD for 24 years. He has spent the past 16 years on the Homicide Unit and says, We’re like family over here. Penrod is incredibly proud of the hard work of his team. He says, The dedication of the people who work here in Dallas Homicide is incredible and just to be part of that means a lot to me. He says, If you can catch the guy and make a good case on him and be able to tell the family at that point that you’ve caught the person who has murdered their loved one, that right there makes it all worthwhile. I’ve never gotten that feeling of satisfaction from anywhere else in the department. My oldest son just got out of the Army. He served in Iraq and I’m proud of him for that. My middle son is in the Air Force and he just got back from Iraq and now he’s stationed in Korea. My daughter is married to a Marine who works on F18 fighter jets and he just deployed to the Middle East on an aircraft carrier. He adds, My wife, three kids and two grandchildren mean a lot to me. Det. Robert Quirk, nicknamed Q, has spent the past twenty years with the Dallas Police Department and the last five of those years in the homicide unit. 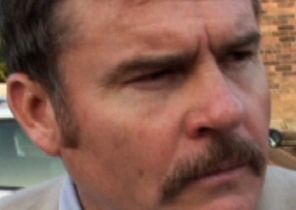 Quirk says, To be a good homicide detective you have to have a really strong foundation being a street cop. You learn how to deal with people, how to talk with people, how to interview and read people. 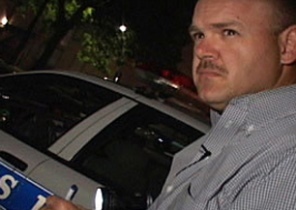 You make contacts in the streets as a patrol officer that you’re going to rely on as a homicide detective. 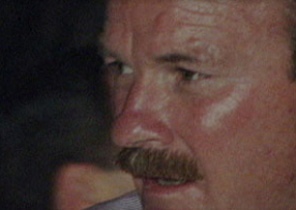 Quirk believes his work in Homicide to be a great responsibility. He says, There is no more serious crime than murder and here in Texas the punishment for that crime is potentially the death sentence. You’ve got to be willing to sacrifice part of your personal life to stay up here in homicide and be effective. A lot of people can’t make that sacrifice. Det. Quirk is especially proud of his department’s high solve rate. He says, You do a lot for the families to bring them some closure. There’s a lot of fulfillment in doing a good job and helping them get though this. In his spare time Quirk and his wife work with Dallas’ Golden Retriever Rescue Program. They have two dogs named Fergie and Bailey. 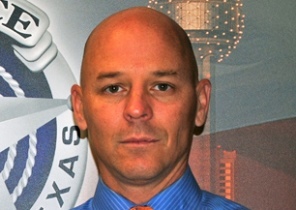 A Dallas Police Department veteran, Detective Tommy Raley has over 20 years experience on the force. He followed his father’s footsteps who was a DPD Sergeant. In 2007, Det. Raley moved to Homicide. He says a good homicide detective must be “willing to work long hours and go out on the streets to solve the case.” His most memorable case was one where a family was murdered and he caught the killer. “Bringing closure to the victims family is the most rewarding part of the job,” he says. 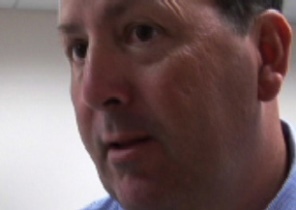 Raley likes to spend his free time with his wife and two daughters. Det. Kim Sanders comes to the homicide unit with over twenty-three years experience in the narcotics unit. He says, My knowledge of drugs and drug trafficking and my contacts there have helped a lot up here in homicide. He is a thirty-three-year-veteran of the Dallas Police Department. Sanders is married to a fellow police officer and has a son that is a paramedic and firefighter. He is also a proud grandfather. In 1995, Det. Scott Sayers joined the Dallas Police Department because he wanted a career that made a difference in the community and people’s lives. 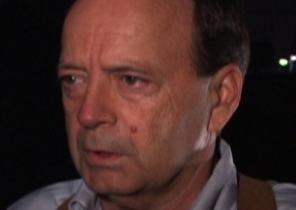 One of Sayer’s proudest moments in his career was when he was able to get a confession out a killer when there was no physical evidence to link him to the crime. Because of the confession, the jury sentenced him to life. Sayers is married with two young children. He says, “Family is the most important thing in my life. The fact that I get to come home and see them every day is incredible.” In his free time he enjoys playing hockey, serves on the board of the Kevin James Endowment Fund, and is the Commissioner for the girls soccer association in the city where he lives. 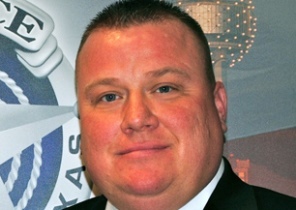 And, in 2012 was elected Vice President of the Dallas Police Association. 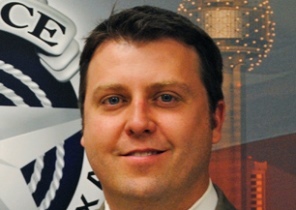 An 11-year veteran of the Dallas Police Department, Detective Charles Sherek is a relatively new addition to the homicide unit. 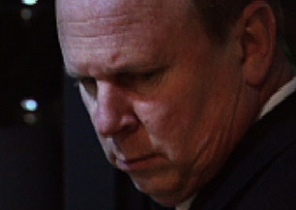 He has been working as a homicide detective for more than a year. Sherek, 38, grew up in rural South Texas in a largely Hispanic community. He is fluent in Spanish, which helps him communicate with the large Spanish-speaking community in the Dallas area. Charles Sherek is currently working patrol. 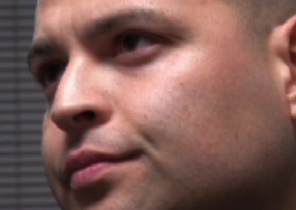 Nine-year DPD veteran Rene Sigala, has spent the past six months in homicide. He says, When I got the call to come up to homicide I was excited. It’s a challenge. It’s long hours, a lot of paperwork, court time, spending time away from your family, a lot of sacrifices, a lot of dedication and hard work. There is also a lot of prestige associated with being a homicide detective. Not everyone can do this job. Sigala has learned a great deal from his fellow detectives. He says, I’m still learning and every day brings new challenges. As long as I’m willing to learn and pay attention I’ll just keep getting better. Sigala has learned that being thorough is the key to being a good homicide detective. You cross all the ‘T’s’ and dot all the ‘I’s’ and make sure you follow every lead until you exhaust everything. You don’t want to rush to any conclusions until you get all the evidence gathered. Det. Sigala is divorced and has two daughters. He is an avid sports fan and has season tickets to the Cowboys, the Mavericks and the Desperados. 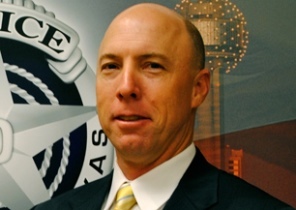 James Stacy has retired from the Dallas Police Department. Det. Tim Stewart was born and raised in Georgetown, PA. He moved to Dallas in 1985 when he started at the Academy. Det. Stewart worked in Patrol, Aggravated Assaults, and Robbery before coming to Homicide. Det. Stewart always wanted to be in Law Enforcement. Det. 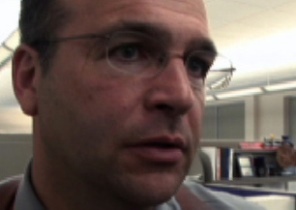 Stewart is an alum of Penn State University, where he majored in Administration of Justice. 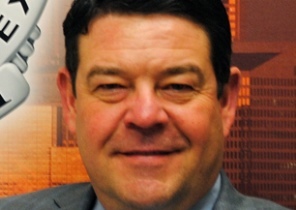 He also has a Masters in Human Resources Management, Law Enforcement, and Public Administration. Det. Stewart gets “satisfaction out of solving these cases for families. It is such a great feeling to clear a case.” He deals with the stress of the job by going to the gym 6 days a week. Det. Stewart is married with two children. In his spare time he watches his children play sports. His son is a college football player, and his daughter plays high school volleyball. He also enjoys deer and turkey hunting. While in college in Oklahoma, Det. Brian Tabor began doing ride-a-longs with the Coal County Sheriff’s office. He enjoyed them so much that he decided to join the Sheriff’s office and became a Deputy Sheriff in 1996. After that, he knew that being in law enforcement was the only thing he wanted to do. Tabor moved to Homicide in 2007. He feels that talking to the family members of a murder victim is the hardest part of the job so he works very hard on each of his cases so he never has to tell a family member “I don’t know.” But, Tabor feels most satisfied with his job when he is able to solve a case that had little to no workable leads. Born and raised in Columbus, Ohio, Det. 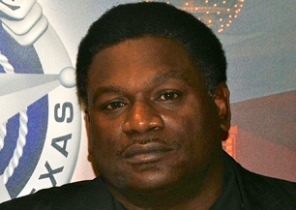 Dwayne Thompson has spent over 18 years with the Dallas Police Department. Thompson started his career in law enforcement as a corrections officer in a maximum-security prison in South Carolina. “It was a good experience,” Thompson says, “It kind of launched me into police work.” He then joined the army and was a captain in the military police before finally joining the DPD.